The April 2015 Scanfest will take place here at AnceStories this coming Sunday, April 26th, from 11 AM to 2 PM, Pacific Daylight Time. Huguenot Genealogy - Finding Protestants in Notarial Records by Anne Morddel at The French Genealogy Blog - If you have French ancestors, you should be reading this blog. For a heavily Catholic country, it's nice to know there are Protestant records to be found there. Anne explains where to find them. My Blog Book is Here! 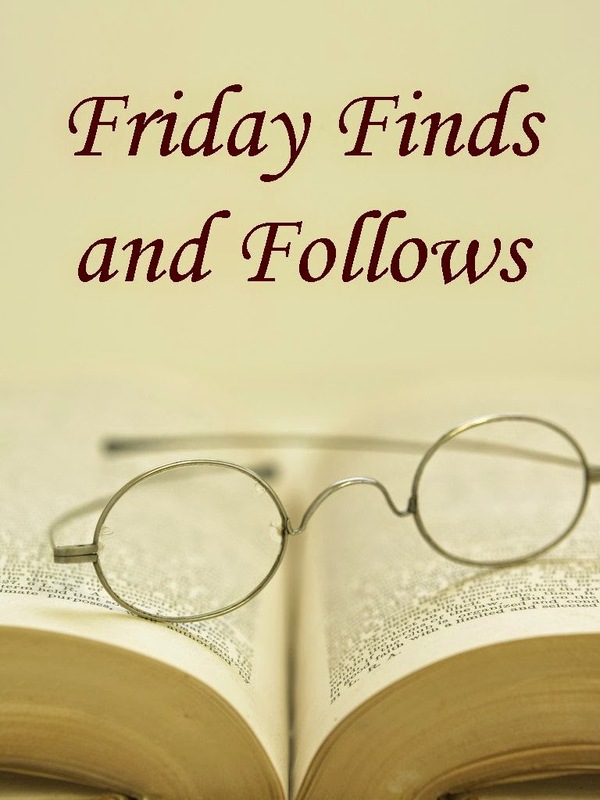 by Jana Last at Jana's Genealogy and Family History Blog - I've been enjoying the journey Jana has been taking in turning her blog posts into a book. This is the final product. 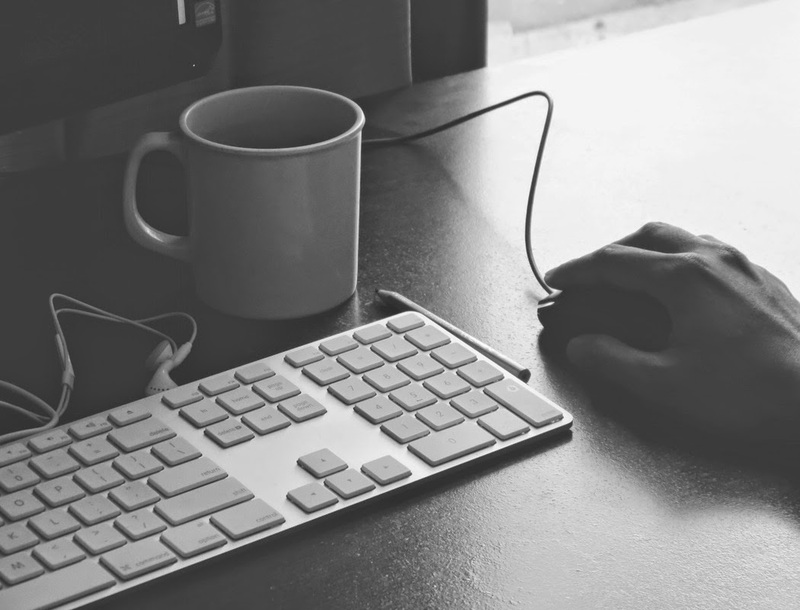 One Document, Four Database Providers, and Four Different Source Citations (or not) by Randy Seaver at Genea-Musings - Randy shows how one document appears at four genealogy websites, and details the differences between the source citations listed on each site. Which site gives the best citation? Read to find out! Are There Any Absolutes in Genetic Genealogy? by Blaine Bettinger at The Genetic Genealogist - DNA results are science, right? They should provide cut and dried answers. Or do they? Genealogy Do-Over: The Value of a BSO by Thomas MacEntee at Geneabloggers - Why would following a Bright and Shiny Object (distraction) while doing genealogy be valuable? Thomas provides answers. New Digital Collection: Colville National Forest by Evan at Between the Lines (Washington State Library Blog) - This describes the newest project from Washington Rural Heritage that just went live. If you have ancestors from rural areas in Washington State, you will definitely appreciate the various statewide projects available. A Record Here ... A Record There ... Wow! A Match! by Elizabeth Shown Mills at QuickTips: The Blog @ Evidence Explained - This post could also be titled "Jumping to Conclusions." What you should be doing when your family from one location seems to magically appear in another. Guest Blogger: Beginning Your Tennessee Research by Amie Tennant, guest blogger at Lisa Lisson's Are You My Cousin? blog - I clicked on this post because my kids have Tennessee ancestors. Not only did I find the post interesting and helpful to read, I discovered that Lisa has posts on research in many of the states where my children's paternal ancestors lived: Tennessee, the Carolinas, and Virginia. So of course, I added her feed to my Feedly. Is Your Site Mobile Friendly? Google Starts Penalizing After April 21 by Nicole Larrauri at Awesomely Techie - Do you have a genealogy website or blog? You may wish to read this article if you want to continue to have your blog or website be included in Google's top results when others search for it or any of the ancestors you have mentioned in it. Dropbox Adds Office Online Integration by Walter Glenn at Lifehacker - So a cousin sends you family tree info in a Word or .pdf document with family photos in it. Here's how to extract those images. Professional genealogist Amy Johnson Crow has written several articles on genealogical research on the deaf. These include “Researching Deaf Members of the Family,” published in the Spring 2008 issue of New England Ancestors (now called American Ancestors), “Deaf School Admission Records,” published in the September/October 2001 issue of National Genealogical Society News Magazine (now called NGS Magazine), and--more recently--an article which profiles students from the Indiana School for the Deaf who are buried in Crown Hill Cemetery in Indianapolis, published in the March 2015 issue of Indiana Genealogist. DeafGenealogy.com - This website helps others discover resources on Deaf, CODA (Children of Deaf Adult) Hearing, and Hard of Hearing people who were involved in or made significant contributions to the Deaf Community. It includes information on genealogy resources, databases, archives, tutorials in ASL, deaf genealogy conferences, deaf historical figures information, and other resources. FindAGrave Deaf Cemetery - This virtual cemetery lists Graves and memorials of well-known deaf people and hearing allies from Deaf Heritage. The Silent Worker - This was a popular national newspaper written by the deaf for the deaf population of the United States from 1888 to 1929. It was first published as the Deaf Mute Times. The Gallaudet University Archives has digitized this collection and made it available online for public research. I hope these five posts have been useful in your research. Please leave a comment if you've found the resources to be helpful, learned something new about your deaf ancestors or relatives by using the resources I've highlighted, or have helpful information about them to add. It's been a pleasure to provide these tips and strategies to the deaf and genealogical community and, in doing so, educate myself further about the three deaf DICKINSON siblings of my 3rd-great-grandmother. We've got two weeks of Finds and Follows to catch up on! Surgery went well and I'm recovering during my Spring Break, anticipating being able to return to work on time. The Day the Earth Moved, March 27, 1964 by Terri Hatch Politi at Unearthing My Family Roots - having been born and grown up in Alaska, I heard lots of stories about the great earthquake and tsunami that occurred three years before my birth. Terri gives her personal perspective on this event. A Marriage Record Is a Marriage Record Is a Marriage Record—Not! 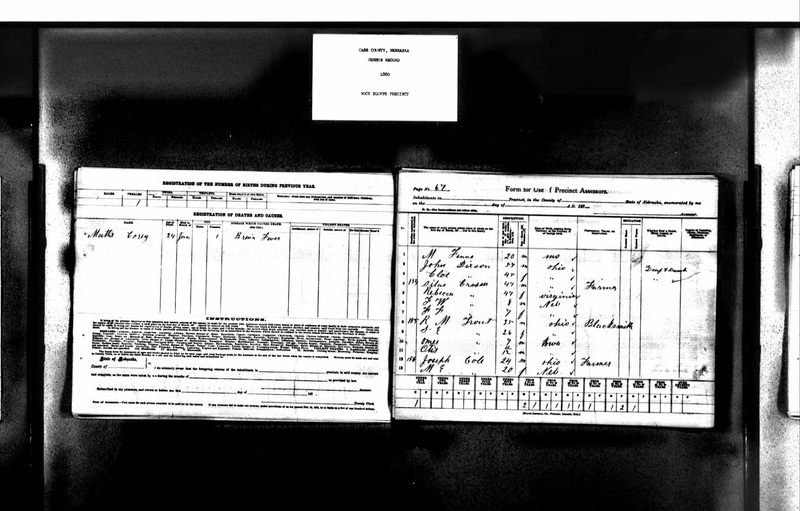 by Elizabeth Shown Mills at QuickTips: The Blog @ Evidence Explained - Elizabeth describes a plethora of marriage record types. Redux: per capita, per stirpes by Judy G. Russell at The Legal Genealogist - if you're poking around at an 18th or 19th century will, and trying to figure out who is getting what, you'll appreciate this explanation and accompanying table. Why Researching Your Ancestor’s FAN Club is Important by Elyse Doerflinger at Elyse's Genealogy Blog - you definitely need this strategy to break down your brick walls! Unofficial Record Keepers & Reasonably Exhaustive Research by Elizabeth Shown Mills at QuickTips: The Blog @ Evidence Explained - here's another way to break down brick walls. Elizabeth explains who the unofficial record keepers were and why they were (and are!) important. Was Great-Grandpa Don Draper? by Donna Pointkouski at What's Past is Prologue - I admit, as a recent addict spending my surgery recovery/Spring Break on a Mad Men marathon, the title of this post was definitely eye-catching! Donna studies the correlation between her ancestor Joseph Zawodny and Don Draper. Beyond their hidden pasts, even their photographs look similar! Still waiting for the Holy Grail by Judy G. Russell at The Legal Genealogist - Judy separates hype from hypothesis in her examination of AncestryDNA's New Ancestor Discoveries. Do you love courthouses? As a genealogist, you should! Our ancestors' lives are recorded in them, and they visited those buildings for a variety of reasons. Want to see some great old picture postcards of your ancestors' county courthouses? 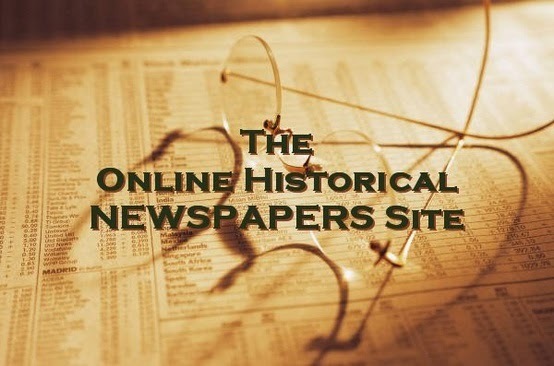 Check out CourthouseHistory.com. The Civil War–How Our Country Dealt with the Aftermath by Diane Gould Hall at Michigan Family Trails - Did you ever wonder what we did with 620,000 dead bodies? The Tax Payers Lists of 1791 by Anne Morddel at The French Genealogy Blog - you don't have to have French heritage to appreciate that tax lists in any country provide a wonderful census substitute. A very timely post for those of us in the United States attempting to make the April 15th deadline. The Future of Genealogy – 6 Predictions by Louis Kessler at Behold Genealogy - Louis polishes his crystal ball. What do you think of his predictions? To locate more genealogy Facebook pages and groups, check out Katherine R. Willson's incredible Genealogy on Facebook list. Updated just this week! 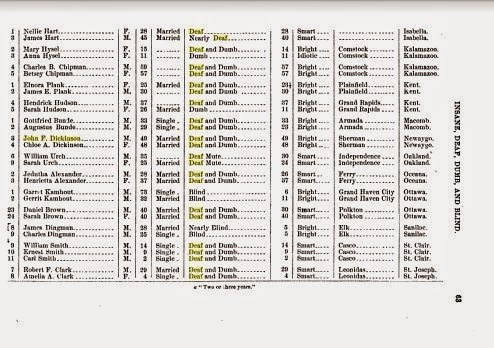 We've spent quite a bit of time looking at the three deaf siblings--John Fletcher Dickinson, Thomas Sherman Dickinson, and Harriet Ann (Dickinson) Root--of one of my 3rd-great-grandmother. We've found them in U.S Federal Census records, the special census on deaf family marriages, and Schools for the Deaf historical records.There are other major records groups that should be examined. Like the federal and special census records we have examined, many state and local censuses also listed whether citizens were deaf, blind, or had some other disability. In 2009, I composed a list of online state censuses for this blog, and have recently updated it. The post also contains links to some excellent reference books on state and local censuses, which cover many offline repositories for these record groups. Oddly enough, my Dickinsons happened to reside in the one county in the Union in which a state census was taken for 10 years running: Cass County, Nebraska; 1876-1885 (there was also one taken in 1870 in that county). Below is one of many state census records I found for the Dickinson siblings, their spouses, and children. It shows John and Chloe "Dixon" in Rock Bluff in 1880. Interestingly, I have found that the column for "deaf and dumb" has more often been left blank than filled in for my Dickinson family members in these state census records. Many other countries held regular censuses, often decennially, like the United States. It was not unusual in those censuses to find columns in which to enumerate the deaf and other disabled individuals. Sharn White blogs about these columns and the information they contain in censuses from the United Kingdom. If your ancestors came from Canada or Australia, the census forms will be very similar to those of the U.K. These non-U.S. census records can be accessed through a World Deluxe subscription at Ancestry. For other nation's census records, especially those that can be found online, see Cyndi's List and search for the name of that country. Although deaf men could not serve in the military, they were included in U.S. draft registrations, as these were an enumeration of every man in the country of a certain age, whether or not they were fit for service. Ancestry's Military Collection includes a Draft, Enlistment and Service category, which contains draft registrations for the Civil War, World I, and World War II. FamilySearch has federal draft registration records for WWI, WWII, and state draft registrations for Arkansas, Georgia, and Louisiana during WWII. Unfortunately, entering the keyword "deaf" into the search engines does not produce a list of deaf draft registrants; instead, it can bring up individuals living in institutions for the deaf, or all registrants living in Deaf Smith, Texas! It is simply best to search for your ancestor or relative by name, and hope to find some interesting information on their registration card or ledger. While living in Sherman Township, Newaygo County, Michigan, John and his wife Chloe were both named, along with a number of other deaf individuals, in the Joint Documents of the State of Michigan for the year 1873 (Vol. 3) published by the Michigan Legislature. Note under the "mental competency" category, both are labeled as "bright." 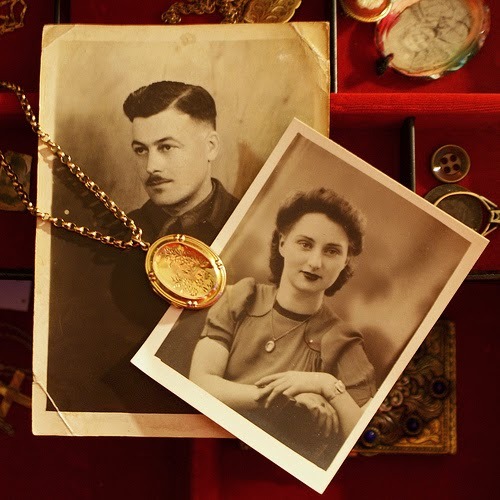 Running your ancestor's name through a Google search or at online digital book sites may uncover some surprising details about his or her life. Because of the nature of deafness, people with this disability were not as physically or financially vulnerable as those who were blind, crippled, or mentally disabled. Most could provide a living for themselves and their dependents. However, it is always possible that a deaf person could have ended up becoming indigent or otherwise dependent upon the community for their survival. Check local poor farm, poor house, and work house records, especially if your ancestor "disappears" from regular records. The Poorhouse Story has a wealth of information on these institutions. If your ancestor was an urban dweller, tracking him through the annual city directories can be helpful to provide a timeline of his life and occupation(s). Even if he lived in a rural area, county, farm, and rural directories were common as well. Don't forget church and fraternal society directories, too! 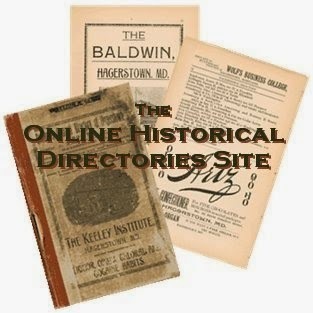 Check out my Online Historic Directories site to locate digitized and transcribed historical directories online. Next week, we will wrap up Deaf History Month with a final list of resources and links.